A year after the journey, I decided that fiction would be my vehicle for capturing the essence of the trip. I changed all the specifics, of course, but the spirit of that journey remained as I wrote Live from the Road, my tribute to Jack Kerouac and all road warriors who know the essence of any trip lies in the journey and not necessarily the destination. The real story behind the novel Live from the Road began one night over a couple of beers at a local bar. It took more than a year to plan and pull off. “You’ve found her now,” Joy said, and thus began more than a year of plotting and planning our escape from our lives for more than two weeks on the road. Romantic visions of Jack Kerouac and the open road, John Steinbeck and a dog named Charley, neon lights and roadside motels clouded our minds as the mundane details of the trip threatened to intrude on our starry-eyed dreams. Our daughters, both in their twenties, asked if they could join us. We were astounded. “Why would you want to spend your summer vacation with two middle-aged women?” I asked my daughter Anna. “It’ll be a blast,” she said. Joy’s daughter Hillary said something similar, and so we became a foursome of road warriors ready to set forth on one of the most historic roads in the world. Simply saying “Route 66” conjures up visions of greasy hamburgers, neon signs flashing “No Vacancy,” characters out of a Sam Shepard play, and, of course, freedom to disappear into the gut of this country. Even though the trip occurred years ago, those visions still reverberate within my soul. My journal became my companion on the trip, as well as emails sent to friends and family whenever we had the Internet. Serendipity and downright foolishness collided into one of the most memorable trips of my life. Soon after the trip, I began writing the fictional version using the seeds of events from the journey. All I had to do was take a small event from the real trip and amplify it into a golden nugget of a story. Amazingly, there were many stories that never came close to appearing in the book because they were just too outlandish. Those stories remain sacred, only to be pulled out when the four of us reunite to reminisce. 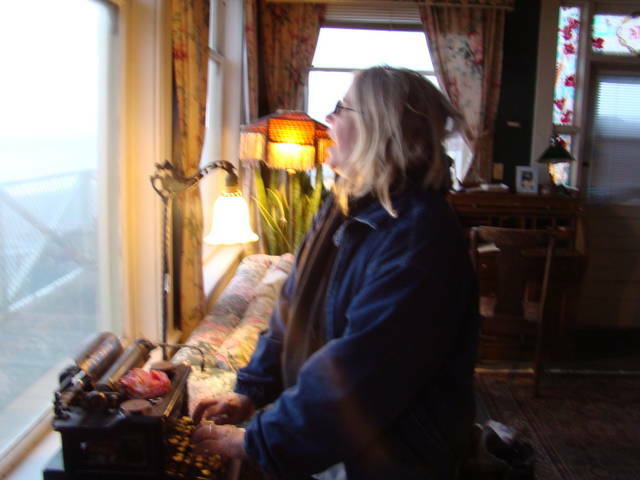 Live from the Road—my fourth novel—became the first book I published as an Indie Author in 2012. My other books had been published traditionally. I even had an agent for a bit before becoming disillusioned with the world of publishing. This road trip novel also marked my return to writing in a very different world from the one I’d known. Since its publication, I’ve written nine more novels, with four more simmering on the back burner in my mind. That’s exactly what I continue to do every day as a writer. The world of writing and publishing is undergoing a revolution right now, and I’m happy to be a part of it. As I head in the direction I’m going, I’m writing and loving every minute of the trip. May all your journeys be fruitful. And if you need to be reminded of the importance of enjoying the ride on the way to your journey, give Live from the Road a read. If nothing else, you laugh at the antics. Route 66 – just the name conjures up visions of flashing neon motel signs, convertibles filled with carefree travelers, Jack Kerouac-like adventures, and John Steinbeck writing odes to a dog. Route 66 connotes movement toward unparalleled scenery, unexpected miracles, and dreams come true. My best friend Sally and I heaped all those expectations on our own personal journey down Route 66 – the road Steinbeck dubbed the “Mother Road.” I’m sure the author never envisioned “mothers” such as us hitting the road to discover our own meanings of life. When our grown daughters decided they wanted to join us on our journey, we welcomed them aboard. From the beginning, I heaped plenty of expectations on that glory road. I’d been numb for five years, and I suspected my daughter lived in the same limbo. With Sally and her daughter, Ramona, as our companions, I hoped CC and I would be able to peer into the abyss of our sadness created when my son Sean died five years earlier. Whatever happened, I knew with a certainty my life would change during and after this trip. I never predicted it would turn all four lives upside down. It’s probably not surprising – the path Route 66 followed carried many lost and broken souls from the displaced Native Americans on the Trail of Tears to the Dust Bowl victims of the 1930s. Even Jack Kerouac faced his share of demons while traveling the Mother Road. The road’s original goal – to link Lake Michigan to the Pacific Ocean 2,400 miles away – still remains, even though most of the original road does not. The four of us raced toward the charm of Route 66. We yearned to discover its magic as the glory road leading to salvation and the Shangri-La of America – California. We found the road paved, not in gold, but in broken pieces of asphalt and towns killed by the interstate. But amid the actual reality of the road, we found moments of inspiration and serendipity. 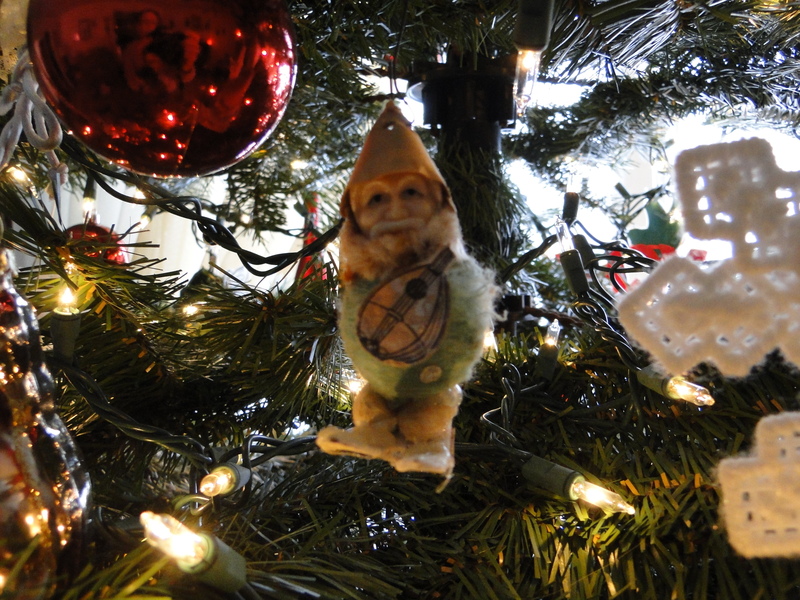 After months of planning, we flew from our homes in Florida to Chicago in early June 2007. When we landed at O’Hare Airport, I looked at my daughter CC with her backpack and sleeping bag on her back, torn black T-shirt advertising Eraserhead, dyed-red and spiked hair, and I knew the years had sped by faster than I ever knew possible. Recently divorced from her father, I was beginning a new era in my life as a 50-year-old single woman. I stared at CC, attempting to put it all together in my mind. Even though I didn’t look it, I felt as if I was the same age as my 25-year-old daughter waiting for her luggage to appear on the carousel. Was this really the baby I nestled at my breast all those years ago? “Mom, watch out,” CC said as I almost backed into a stroller being pushed by a toddler. I looked down into the face of a tiny baby sleeping peacefully as the older sibling attempted to maneuver around the people waiting for the bags. “Really? I wonder what it would be like to have a child like that,” I said as I pointed my thumb at CC. “This one has always done exactly what I have said.” I rolled my eyes. The mother smiled at me, and then took in CC’s hair and torn shirt. She quickly looked down at her own daughter and then at the baby sleeping in the stroller. I turned away quickly so she wouldn’t notice the sudden tears forming. The words slipped out of my mouth without thinking much about them. Only when I heard them out loud did I realize what I’d said. CC was right next to me, but her brother Sean was not and never would be there again. I wanted to chase after that mother and tell her not only to enjoy, but also to hold onto them for as long as she could. It could be over in the time it took to tie their shoes. “You okay, Mom?” CC asked. She was looking at me intently. “Fine, fine. I was just remembering you and Sean at that age. It’s over so quickly.” I was fighting to keep control there in the middle of the airport. “This trip is going to be good for all of us,” she said. She gave me a quick hug, unusual for my daughter who usually abhorred physical displays of emotion. Luckily one of our bags appeared right then, and the moment passed. Sally and her daughter Ramona stood on the other side of the carousal. I saw Sally’s bag with the pink ribbons on the handle go by. It was a gorilla of a suitcase – very hard to miss. Sally said she’d rather have one large suitcase rather than the smaller two or three bags the rest of us carried. Problem was she couldn’t get it off the carousal, so Ramona was left to recover it while her two bags passed by unnoticed. Thank goodness the gorilla had wheels. Once we picked up our rental, a red mini-van, we loaded all of our belongings in the back. CC was the packer in the crew, and she told Sally that her bag would always have to go in first because it was too big to go on top of any of the other bags. Sally took the driver’s seat – she always drove, and I never argued. It was her way of maintaining control. I took shotgun with the maps and directions and Route 66 books. It actually worked out better this way. I liked giving directions as much as Sally liked driving the engine. Ramona would be our tour guide as she read from the Route 66 books we’d been collecting over the past year of planning for this adventure. After settling in our hotel, we decided we would walk toward Lake Michigan and find a place for dinner and whatever else might grab our attention. The full moon directed us downtown. We crossed over the Chicago River, reveling in Chicago’s architecture. Some dubbed it the capital of architecture and the birthplace of the skyscraper. Studs Terkel called it a “city of men.” And as I looked up at the dizzying heights of the buildings surrounding us, I could see why. We stopped often for pictures, asking people we passed on the sidewalk to snap a shot or two. A small elevator meant for two people opened up in the lobby. “All right, but I’m finding stairs for the trip down,” Sally said. Sally hated small confined places, but we crowded around her and exchanged one-liners until we spewed out to the rooftop, where a waiter stood ready for the energy of four females set loose on the road for several weeks of freedom. Freedom is just another word for doing whatever we pleased. “Do you really believe that?” I asked. Sally’s perpetual optimism never failed to amaze me. The waiter, young, handsome and very Jamaican, was actually the bartender, but he had to fill in for the usual Friday night waitress. “Mom, you’re not going to order a hot dog on our one night in Chicago,” Ramona said. Ramona shrugged and CC rolled her eyes, but eventually both of them agreed. Then they all looked at me. “What if it gives you gas and makes the rest of us sick? Can we say something to you then?” I asked. Now it was Sally’s turn to roll her eyes. She ordered the hot dog with everything except sauerkraut. “Does that mean I can’t tease you about all the hand lotion you put on your hands?” CC asked me. “I have no idea what you mean,” I said as I reached around to my purse hanging from my chair to see if I had a bottle of Aveeno ready to apply when I was alone. Our substitute waiter messed up the drink orders, but he was so cute and funny we forgave him. We ended up with an extra drink or two, mixing our red wines with the whites. Two margaritas, one with salt and the other without, magically appeared when no one had even ordered a margarita. It was that kind of night. The margarita glasses soon stood empty on a table overflowing with dirty dishes and empty glasses. “You ladies couldn’t be blue if you held your breath for two days,” our fantasy man said. Even I laughed at that corny line. He told us to head down to Buddy Guy’s Legends. Buddy Guy – the bluesman who inspired Jimi Hendrix and Eric Clapton – had a club on Wabash a few blocks away. We didn’t care if Buddy was in the house or not; we just wanted to hear music live in Chicago. Sally and I headed to the bathrooms on the top floor while CC and Ramona raced down the four flights of stairs to the lobby. All the toilets in the bathroom were close to overflowing. I chose the least full one which meant there was an inch from the water level to the top of the toilet. After I finished, I attempted to flush, and so did four other women who had come in behind us. The water in the bowl gurgled but didn’t go down. I shrugged my shoulders and left the stall. As Sally and I stood at the sink washing our hands, water began seeping out of all five stalls. “Quick, let’s get out of here,” I said, not bothering to dry my hands so we could beat the other women to the small elevator. I pulled Sally’s arm, and we ran. We jumped in the small box before Sally could change her mind. As the door began closing, a hand reached out and shoved the door open. A small black man wearing a beret and a Hawaiian shirt entered the elevator behind us. Sally grabbed her mouth and began gagging. “Something the matter?” the man asked as the doors shut on the three of us now crammed together in the small space. “We just had a trauma in the bathroom, and she’s claustrophobic,” I said. “This place is notorious for overflowing toilets, and this elevator is more like a moving shoe box. Where are you two lovely ladies headed tonight?” he asked. The elevator made a rumbling sound, and then jerked to a stop. Nothing happened for a few seconds. Sally moaned next to me. “That’s where we’re going!” I said. “Then you must be Buddy Guy.” I held out my hand, but Sally did not because she now had both hands over her mouth. “The one and the same.” He clasped my hand then pulled me close for a hug as the doors opened onto the lobby where Ramona and CC stood waiting. Buddy Guy continued holding me as Sally hurled chunks of undigested hot dog across the small lobby. CC and Ramona jumped out of the line of fire just in time. “Been a long time since I had that effect on a woman,” Buddy said as Sally gasped for air and fell out of the elevator. “I’m sure you ladies will do it justice in the best tradition of road warriors everywhere,” Buddy said. “Let’s get you fooling around some tonight then,” he said. The moon, large and orange, illuminated us in soft natural light as the lights of downtown led the way. The city of men merged with nature as we marched toward Lake Michigan. “Ever notice how when the moon is larger, it’s actually smaller,” Sally announced. Somehow, it made perfect sense on a night when sense had nothing to do with anything at all. The Trails in the Sand blog tour ended on April 29. Thank you to those of you who participated in some way. And now the winner of the tour giveaway: Ty Wilson from Utah. 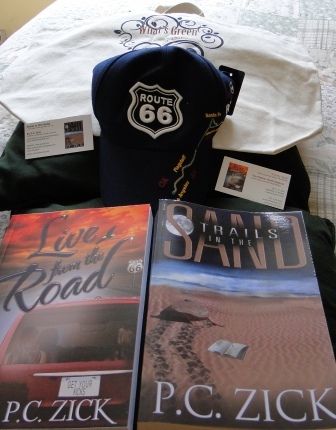 Ty will receive signed copies of both Live from the Road and Trails in the Sand along with a Route 66 baseball cap, magnets from both books, and a “green” grocery bag donated by Betsy Wild over at the blog What’s Green with Betsy. Congratulations to Ty and a round of applause to all of you who visited my tour stops and entered the contest. If you’d still like to try and win a copy of Trails in the Sand, there’s a giveaway going on over at Goodreads now through May 15. The Tour Schedule for April 25 – Check out this blog today and enter to win the tour giveaway. I Read Indie blog features my guest post “Why I love sea turtles” about my first interaction with the ancient creatures and how they became a central part of the plot in Trails in the Sand. I Read Indie blog reviews and features Indie Authors. Satisfaction for Insatiable Readers features Trails in the Sand and my guest post “Subject Chooses the Writer.” Stop by Satisfaction for Insatiable Readers to “feed your need to read.” Gina’s love of books led her to create a site for her readers.